Since the 1960’s, Spain has had wide-eyed travellers reeling with its melange of golden beaches, traditional white-washed villages and exuberant culture. Some 50 years later, and Spain has still got it. 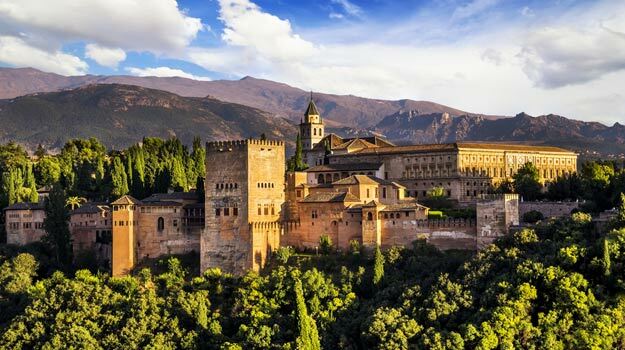 From electrifying cities that blend local tradition with contemporary culture, to remote, under-the-radar bucolic retreats backed by rolling hills and jagged mountain ranges; there’s no denying that Spain’s charm is infinite. With a history that is said to predate even that of the Roman Empire, this fascinating pocket of northern Spain extends into the south of France and prides itself on its distinct culture, language and heritage. Encompassing a rugged Atlantic coastline with some of the best surf spots in Europe, together with intriguing cities home to world-class art galleries, the Basque Country is the destination for discerning travellers. For a gourmet trip, head to San Sebastian, the foodie epicentre of Spain with a handful of superb Michelin star restaurants and countless tapas bars, or pintxos as they are known to the locals. Art lovers should make for Bilbao, a contemporary art hub with the world-renowned Guggenheim at its cultural heart. Bilbao beguiles visitors with its extraordinary, futuristic architecture – which even features at the lavish boutique hotels, like the Hotel Marques de Riscal, that is a work of art itself. Then there’s La Rioja, the lush viticulture region just south of the Basque country, home to over 500 fertile vineyards. La Rioja’s pastiche of historic relics, wild forests and pretty villages provides a picturesque backdrop to the Camino de Santiago pilgrim route that takes place over the summer. With a flight time of around two hours from the UK, a luxury short break in Spain is impossible to resist. And, with the country’s chequered history and distinct regions offering a unique edge, it seems there’s a Spanish city for everyone. 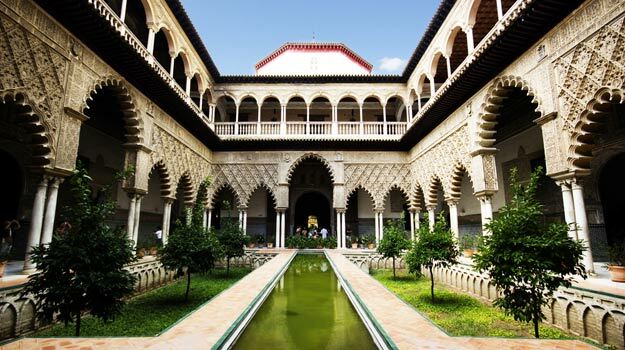 In Andalucia, Moorish influences have left their mark on Seville, Granada and Cordoba in the form of grand palaces, scintillating mosques bedecked in ornate tiles, and tangles of maze-like alleys brimming with history. 400km north of here, Spain’s capital Madrid pulsates with energy – particularly after dark. This is the place to hang out with the gatos (locals), catch a world-class opera, and dance till dawn at one of the many bars or clubs. Come morning, grab a coffee and stroll through Retiro Park, stop to people-watch in one of the pretty squares, and catch some culture at the city’s impressive fine art galleries, like the sprawling Museo del Prado. Spain is a classic destination for beach holidays. In the Balearic Islands, forested hillsides, medieval villages and even staggering mountains beg to be explored. Mallorca works perfectly for a fun family holiday, while Ibiza – though famous for its parties – is one of our favourites for a luxury chillout retreat, and the lesser-known Formentera is the sleepy, boho babe of the Balearic trio. 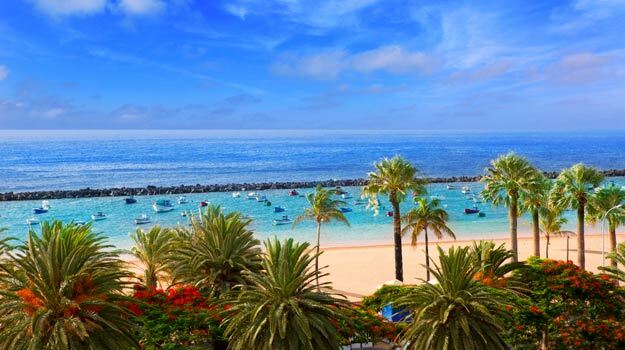 Then there’s the Canary Islands, the destination of choice when you yearn for some winter sun yet want to avoid the tiresome long-haul flight. This cluster of islands found just west of Morocco boasts Spain’s highest peak at El Teide, as well as endless beaches and even inhabited cave towns in Gran Canaria, which has earned its nickname ‘a continent in miniature’ for its striking mix of landscapes. Discover quintessential Spain in Andalucia, one of our favourite regions for its fiery flamenco shows and lively ferias (including the colourful Feria de Abril in Seville), by hopping between chic beach hotspots like Marbella and historic cities inland. 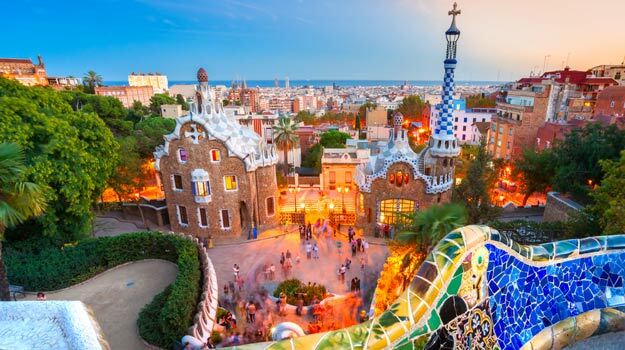 Or for a glamorous honeymoon in Spain, combine Barcelona’s urban allure with Ibiza, the Med’s undeniable party capital with gorgeous beaches and boutique hotels to boot. And with North Africa tantalisingly close, twinning Morocco with Spain makes for an utterly captivating contrast holiday. From the boutiques and bars of Barcelona, to Mallorca’s pristine coastline and winding up in the bustling souks of Marrakech, this luxury tour gives you a taste of it all.